Aatma’s brief was to retain the legacy of the Brisk’s signature style of stop-motion with CGi. We spent a good chuck of time doing R&D to make CGi models look like stop motion puppets. 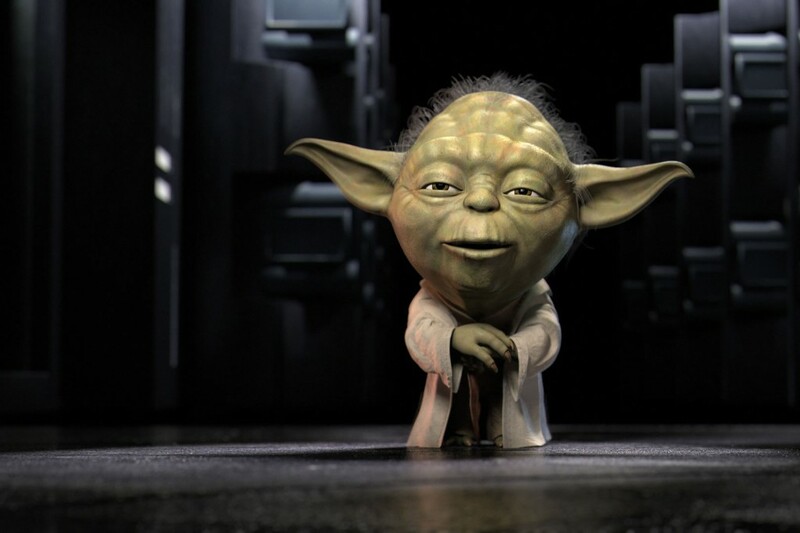 Here is an early test/turntable of Yoda without hair. Watch in full HD to see details like lint, stitches and subtle imperfections that give it that hand crafted feel. Dont mind the intersecting cloth, our sim team fell asleep for this early test.